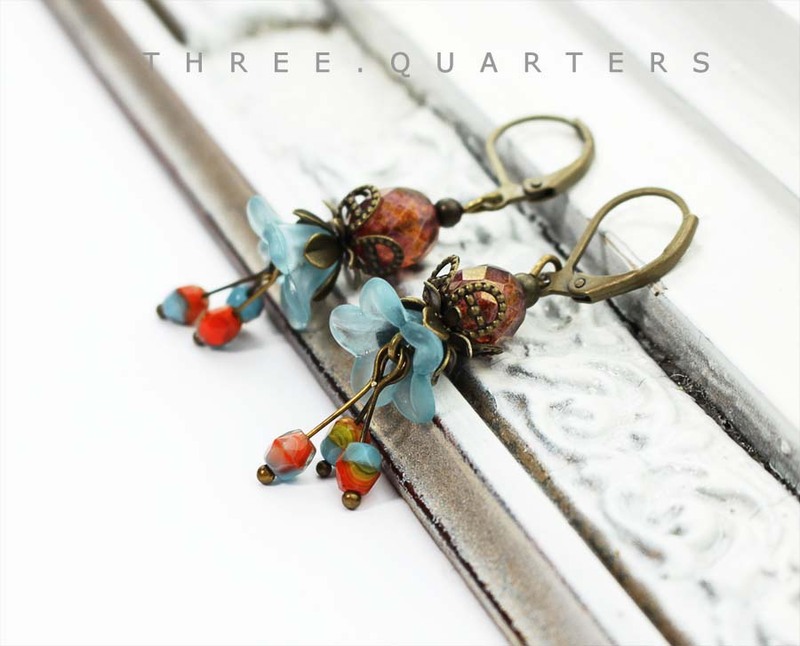 Beautiful earrings with flowers in light blue, orange. Bronze colored bead caps and stone marbled in red. 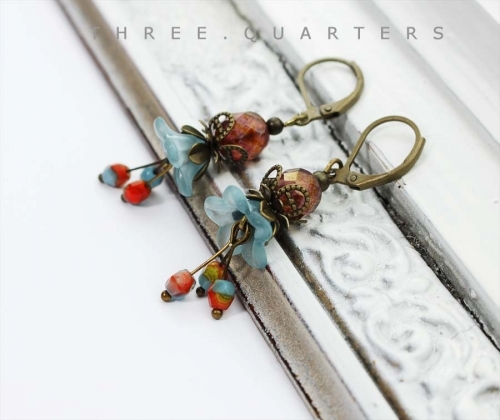 "Pistil" in orange and mottled light blue.